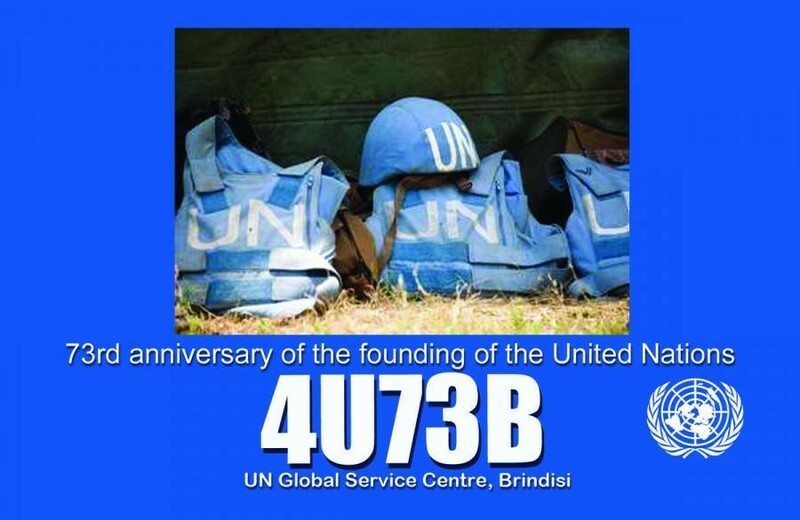 Special call-sign issued to 4U1GSC Amateur Radio Club at UN Global Service Centre - Brindisi, to commemorate 73rd anniversary of the founding of the United Nations! The call-sign 4U73B will be active starting on ‘UN Day’, 24 October 2018 until 23 October 2019. 73 and thank you for calling 4U73B! TOMISLAV DUGEČ, P.O.BOX 255, SPLIT, 21001, Croatia.